Justice League news was hotly anticipated at this year's Comic-Con, and DC didn't disappoint. Instead of your garden variety interviews and storyboards, fans were treated to early footage that, while not actually a full-on trailer, pretty much plays out like one (on case you missed it, check it out in all its glory HERE). They're being a lot more coy with the marketing this time around (so far, at least), so the trailer/footage showed off a lot and not all that much at the same time. Still, there are plenty of juicy moments that tell us a whole lot about what we'll be seeing when DC's premier super-team finally comes together. We've taken a closer look at some key moments and what they could mean in our trailer breakdown, but here are the big picture conversations we think we're kicked off by Comic-Con 2016's Justice League trailer. Batman V Superman was pretty bleak, just in case you hadn’t noticed. It followed on from Man of Steel, which was famous for images of Superman snapping necks, drowning in human skulls, and screaming into the air while his dad died a pointless death in a tornado. It looked like the DCEU was aiming to be the opposite of the MCU in both tone and scope…except that didn’t work out so well for them in the long run. We’ve already seen how Suicide Squad’s marketing has morphed into something that could resemble a slightly grittier Marvel movie, as if the folks at DC are letting us know that they definitely, absolutely, totally know how to have a good time. What we’ve seen of Justice League pretty much fits this bill, with a few choice glimpses into some lighter moments. Don’t expect it to be a quip-fest, but we do witness Ezra Miller’s Barry Allen/Flash as a more goofy presence, with his conversation with Bruce Wayne very much echoing those between Barry and Oliver from the lighter DC TV universe. Aquaman’s fish-talk is poked fun at, something we’ll probably see thoroughly busted by the end of the movie, and even Diana and Bruce have a bit of banter going between the two of them. Even if the movie ends up having just one source of comic relief -- the smart money is on the Flash -- that should be all it needs to ascend beyond BvS’s general drudgery. Speaking of Aquaman and talking to sea-life, if you’ve indulged in, say, literally any pop culture in the last forty years or so, you’ve got an idea of his reputation. We have Super Friends to thank for this, which portrayed Aquaman as a fish-loving spare tire whose abilities were cripplingly-specific at best, or a complete joke at worst. Comics have done a good deal to try to establish the King of Atlantis as a credible threat and crimefighter par excellence on the same level as the rest of the Justice League, but it’s never quite managed to stick. That is, until perhaps now. There’s nothing quite like a big-budget blockbuster to change public opinion, and from what we’ve seen of Jason Mamoa’s Aquaman, it might just be what the character has always needed. The eyes flicker and change (possibly due to him being able to see in the ocean depths and adjusting to dry land), he takes his liquor like a sailor (appropriate), and Mamoa’s entire physicality is just perfect. The only real ‘action’ we see from him comprises of standing on a rock in the middle of a massive wave, but it’s quite a vivid image. Aquaman is here, and this version might just be definitive. Or at least helpful in showing the world exactly what he can do. On the flip-side, Ezra Miller’s casting as Barry Allen/The Flash was met with some pretty confused head-scratching. His physicality, overall look, and even his ethnicity were all called into question, some of which is reasonable when talking about a well-established comic book character. After all, the original Barry Allen was blonde and made of lean muscle. No doubt there are still detractors, but we’ve seen quite a lot of Barry Allen so far compared to the rest of the new Leaguers, and it’s looking pretty good. Gone is the bizarre ponytail from BvS, replaced by hair that seems more practical for someone investigating crime-scenes. Miller himself seems more physically prepared to be a superhero, but most of all, we can see that Barry Allen will be one of the Justice League’s most crucial ingredients: levity. No other members are known for their humor -- in fact, from what we’ve seen, they’re all (Superman included) a pretty dour bunch. That’s fine, but it just makes Barry’s kooky, fish-out-of-water moments all the more important. He’s a Bat-fanboy in need of some friends (aww), and he apparently has a definitive ranking system for his collection of chairs. This might just be a teaser, but this entire character shows that DC is moving in the right direction. The dynamic between Wonder Woman and Batman was one of the more intriguing parts of BvS, even if the woman herself didn’t have all that much time on screen. That’s about to be rectified with her own solo film, but Justice League will look to do its own part to bring DC's greatest heroine to the forefront. Diana Prince and Bruce Wayne have already established a rapport, which is sort of what tends to happen when you’re forced to fight together against a nigh-invincible cave-troll, which is why we see them together so casually in the JL footage. Their brief interactions might have been laced with deception -- notably, WW stealing the data Batman was after and giving him the run around -- but here they seem to have continued their friendship from the end of their last outing. At the very least, WW knows that the threat is real and that they need allies, hence why she’s seen hanging out in what appears to be the Batcave. In fact, the relationship between the two might even be hinting at being something more than just being comrades. Superman had very little to do with her and is totally into Lois Lane in this universe anyway. We’re meeting Steve Trevor in the Wonder Woman standalone film, but that’s set in WWI, so he’s almost certainly dead by this time. Having Wonder Woman and Batman kindle some kind of romance might just be a nod towards the animated series, where they started to develop a similar relationship but never really got to follow through on it. Plus, we know we’re getting these movies pretty much forever until they get it right, so expect every romantic combination possible. This movie is still well over a year away, so we shouldn’t have been expecting any ultra-flash CGI just yet. Heck, just the fact that we’re getting teaser footage that in any way resembles a trailer is surprising enough, and was probably done to prevent a low-quality version of the glimpse from leaking online as much as anything else. So a lot of what we’re seeing is either simply what they’ve done so far, filmed with practical effects, or just half-finished. Still, that still leaves a few really interesting points. For one thing, the Flash’s speed has been visually rendered in its own unique fashion yet again. The Flash (as in, the TV series) has Barry Allen zipping around with an aura of yellow lightning, with other speedsters all having their different colors. Justice League looks set to show their own version of the Speed Force at work, which here seems to be Barry literally summoning the effect around him, as if the two dimensions are colliding. Included are distortions in the air and small sparks of lightning. Once again, this isn’t just a speedster who sees everything in slow-motion (although Fox’s Quicksilver has proved that you can make that just as interesting). Meanwhile, Cyborg shows up with a sleek, unexpected design (looking a bit rough at this stage), but at the same time almost fluid, similar to an actual Motherbox. You really get the impression that this guy could reshape parts of his body. Hopefully that's an effect they’ll be getting right once all the CG is finished. The formation of the Justice League is looking pretty piecemeal at this point…which does works. We have Batman and Wonder Woman already on-board, Flash jumping at the call because he just needs some friends (aww) and the rest of them are left as wild-cards. Victor Stone isn’t the grumpiest of individuals in the comics, and according to BvS he’s already been a cyborg for some time at this point. Not that he shouldn’t still be hung up on it, but we can at least look forward to him having some kind of handle on his abilities. The one time in the footage that we see the team together, it’s just these four, leaving out Aquaman; it would seem Arthur isn’t willing to play nice with the others at first. It’s clear that the catalyst for all of them coming together isn’t just a rehash of the previous movie, as they seem to be on some kind of mission. Thus, it’s nice to know that the burgeoning Justice League, even if they don’t count themselves as an official team at that point, get to spend a bit of time together as a group. Sure, it’s probably 90% childish bickering -- that’s every team-up movie ever, after all -- but it’s pretty much confirmed that we’re getting some real team interaction. If anyone’s going to come storming in later, it’ll probably be Aquaman. Or Superman. Or both. A pretty hot topic for the upcoming Justice League movies is the identity of the seventh member of the group. Many have assumed it would be a Green Lantern, given the hero's consistent presence on the team in the comics and other media. We know the DCEU is going to feature Green Lanterns at some point, as one (or more) of them will get a solo movie in the near future, so it would make sense if on of them showed up in Justice League. Still, nothing has been confirmed about GL being in either Part I or II, leaving us to wonder if we’ll even make it to the end of this one with a full League roster. Superman himself still hasn’t been officially confirmed (though that one’s a given, since we definitely know that he’s still alive), so adding a seventh might not even be a priority for Part I.
Or…it could be someone we’re not expecting. "Unite the Seven" has already been used as a tagline, making it pretty unlikely that Part I will be finishing with only six. Still, with the Green Lantern mythos being so vast and sprawling, there simply might not be enough time to insert him into one of the Justice League movies. For all we know, Black Canary is going to show up for the final battle against Steppenwolf. The underground/sewer type area we see four of the heroes in might be a government facility where they’re keeping Martian Manhunter. We could be getting another Green Arrow, now with 60% more grit, and maybe some comic-accurate facial hair this time. Green Lantern will be showing up eventually, and he’ll almost certainly be a part of the League. Still, that doesn’t mean GL has a role in Part I OR II, cameos aside. We’ll leave some room for twists. So, uh…Jesse Eisenberg’s Lex Luthor. It's contentious. We’re not going into it. But what we WILL say is that the villain of the piece -- that is, Steppenwolf -- has an uphill climb ahead. Good villains can so often make or break a film, often more so than the heroes themselves. BvS got off lightly since it wasn’t a straight up smash-fest between Lex and Superman, and it featured a little bit of nuance (plus the aforementioned cave troll). However, this is the Justice League. Unlike the somewhat more down-to-Earth heroes over at Marvel, DC’s finest superheroes are mostly absolute powerhouses, so this is going to have to be a spectacle unlike anything ever before seen in a comic book movie. There’s no holding back when the participants can sink continents and bench-press planets. Of course, that’s not to say they won’t be saving the absolute juiciest ideas for Part II when Darkseid almost certainly shows up, but in the meantime, the best thing they can do is have Steppenwolf as a true menace, someone who can put up a decent fight against the half-formed League while still having his own motivations and personality (which Doomsday lacked). So long as his actor gives a good performance and Steppenwolf himself is a credible threat, he’ll at least be a worthy appetizer to his infinitely more threatening nephew. We haven’t yet received an official, full-length trailer for Justice League, so we can forgive them for being coy on the presence of Superman. Technically, they haven’t really been coy, since so little else has been revealed. But when it comes to the marketing, the best policy would be one of "come on, really?" This is Luke Skywalker all over again, except we’re hoping that Superman gets slightly more screen-time. There’s no point trying to convince anyone he isn’t coming back when the very last scene of his last movie spelled it out in earnest. The question then turns to how and when. Superman is an integral part of the Justice League, but we’re no longer in the 1960s. You can’t just have Superman burst out of the ground, wind ruffling his hair as he delivers a monologue about how truth, justice, and the American way gave him the strength to continue. Audiences have moved on, and the tone of the DCEU means that it’ll have to be a bit more concrete. Not that we’re up for spending a good half hour on the scientific ramifications, or anything. That time could better be spent with Superman actually coming back just in time to play a part in the movie, along with an opportunity to see what being literally dead, buried and recently revived does to a person. As is the case for anything that’s been around for a good long while, superheroes have grown more complicated over the years, as different writers have expanded their powers. Superman isn’t just strong because he’s a Kryptonian -- he absorbs yellow sun radiation. Wonder Woman isn’t just your average wonderful woman -- she’s made of...magic, or something. Meanwhile, the whole Flash family aren’t just ordinary "everything moves faster than regular folks" fast; they have the Speed Force, which is a massively detailed concept unto itself. The Flash TV series has played with this, especially in recent episodes, and it’s visually represented as that lightning aura (as well as some cool speed streaks). Meanwhile, as we mentioned earlier, we’ve now seen the DCEU version. The Flash is certainly going to be moving fast, but how? Barry states in the footage that "fast" is an oversimplification, meaning that how he actually uses his powers could be more complicated. It’s a brand new world to explore and expand upon, and besides, there are enough speedsters to be competing with across various franchises and mediums. Heck, Ezra Miller will be competing with Grant Gustin as the same character, so this could hint towards the movie Flash accessing and using his powers in a way we haven’t yet seen. Maybe it’s some form of reality distortion, perhaps it’s subtle manipulation of time. In any case, the Speed Force is one of DC’s most interesting sources of power, so we’re looking forward to seeing how it’s brought to life on the big screen. No, Batman, that’s not how existence works. But seriously, while a bit of a strange quote, it really gives us an idea into the Batman we’ll be getting in this movie. Apart from the idea that anyone would think that Batman wasn’t real, especially after the events of BvS, Victor Stone/Cyborg’s comment lets us know that Batman is still a shadowy crimefighter, albeit one working towards something more along the lines of Superman’s legacy rather than being labelled as a murderous vigilante menace. Which, to be fair, he totally was. Now? 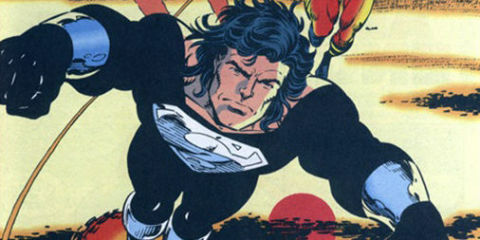 He stops himself from branding Lex (of all people) and admits to Diana that his old way of doing things was wrong. Inspired by Superman’s example, this will likely be a Batman who’s trying to make amends and revert to a slightly cleaner version of himself. 4 ...Who hasn't lost his edge. At all. But that doesn’t mean that he’s suddenly all sunshine and kittens. While Batman can lead a team, he’s never been a much of a people person. This version has lost at least one Robin and has worked alone (sans Alfred) for the entire time we’ve seen him on the big screen. He might be putting together the Justice League, but he’s not doing it with the intention of taking them all out for pizza afterwards so they can stay up late and play board games and talk about justice. The Dark Knight may have learned a lesson or two from the Man of Steel, but he's still putting this team together for the sole purpose of saving the world. He exists when it’s useful. We might get to see the Batman thaw a little, but don’t expect him to embrace being on a team. It’s not something he’s used to. Or we could just be reading too much into a single statement. That’s also an option. A few things from the scene with Bruce and Barry stand out, which together paint an odd picture of exactly what Barry Allen’s role is at the start of the movie. It’s pretty clear from the beginning that there’s no DCEU Caitlin Snow or Cisco Ramon to keep him company, since he apparently lives alone in a computer man-cave with some heavy security. For…reasons. It’s all pretty inexplicable, since we’ve already seen Barry Allen in promotional material as a CSI, as he is in the comics. He has to have a life somewhere -- he seems like a pretty sociable guy outside of the goofiness -- so what’s with needing friends (daww)? Possibly, it has something to do with the Speed Force causing him to feel like an outsider; though this has never really been a problem for him in the source material, it’s quite possible that he feels a need to put himself on an island from the rest of humanity. Or possibly, there’s some alternate reason. The average person needs precisely one computer monitor at home, and we can see over twenty in Barry’s hideout. This hints towards him working on something much larger than simply being a vigilante, something that needs a whole lot of tech. His suit is also glimpsed, and according to released material, we know it’s made of space rocket plates to stop it from burning up. This hints that Barry has a connections in Star Labs, much like his many other adaptations…though exactly what he’s doing for them is up in the air. We’re going to hazard a guess that it’s not just stopping grocery store robberies. Like most comic book characters, Aquaman has had a few origins over the years. There are a few where he’s been born and raised in Atlantis, later becoming the king, while some more recent interpretations have had him raised in a coastal town named Amnesty Bay, never knowing about his true origins. It’s impossible to say for sure exactly which version (if any, or a mix) they’re going with for Aquaman’s origin, but it looks as if Amnesty Bay will at least play a part in his backstory (which we’re also confirmed to see). It’s almost certainly the town we’ve seen in the footage, which gets occasionally showered with fish during the hard times by a mysterious stranger. A very mysterious stranger. Who comes on the KING tide. Hint, wink, symbolism. In any case, it’s these incidents that have led Bruce Wayne to that very town. No one in the room seems bothered by Arthur Curry’s weird shifty eyes, possibly hinting that they know full-well who and what he is. This in turn may indicate that we’re getting a version of Aquaman who grew up as a human, but later embraced his Atlantean heritage, even if only physically for now. For one thing, this lets us know that Aquaman can tromp around on the land just fine, and possibly did so for his entire childhood. We also gets hints of him secretly being a good guy underneath all the growling and wall-slamming we’ve seen so far, thanks to his willingness to help the little guy. Plus, let’s face it: one of Aquaman's most consistently irritating traits is a complete dismissal of everything that goes on outside his Atlantean kingdom. Living as a human? This might just be what tips him over the edge into joining the rest of the super friends. It’s so easy to get caught up in seeing everyone (sort of) together, a genuinely delightful few clips of the new Barry Allen, and a few glitzy explosions that we forget that, actually, we weren't shown all that much. That’s it. In a way, this was the perfect way to show off a bit of the movie without actually showing anything. We get no hint as to Superman, Steppenwolf, a seventh leaguer, Green Lantern, Parademons or literally anything about the plot except for the formation of the Justice League. If any of this rings a bell, it really shouldn’t, because it was the exact opposite of the marketing strategy for Batman V Superman (in which the strategy was "reveal everything, ALL OF THE THINGS"). Sure, we have no official trailers as of yet, and we probably won’t get them for a while. But we can at least cling to the hope that this time around, you have to watch the movie to get the full experience. Anything else from the footage that deserves a mention? Let us know in the comments!